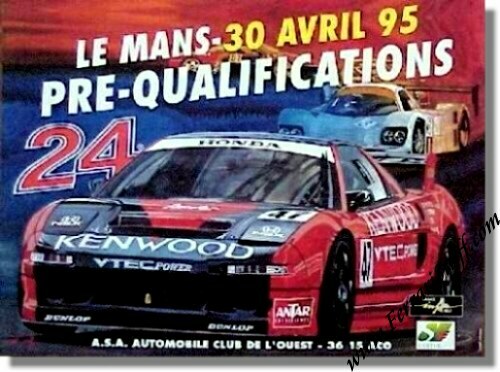 1995 24 Heures du Mans Pre-Qualifying Poster. The 1995 Le Mans pre-qualifying poster follows more or less the same design and lay-out as the poster for the main event but still has a prototype in the background. It can generally been seen as a study for the main poster. The color illustration is from the hand of Donnot and the production was in the hands of S. Conseil agency.